Do you have any knowledge on how your parking lot is being used in real-time and can you therefore take actions to anticipate? 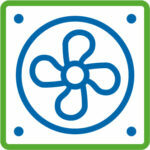 The topics controlled by monitoring are Air Quality, Air Flow, Entries and Parking Lot Occupancy. You benefit from all the information generated by Hesion systems which are provided as customised dashboards and data records. This feature enables to optimise the rentability of our sites and includes the material update of the solution central elements. 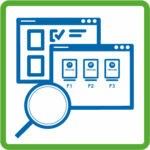 The software part is supplemented with an interface with remote access. There is the possibility to be alerted in real-time as for any configurable event and media. The impact of the analysis is therefore totally different as data tracking gives the possibility to customise the parking lot mode of operation and to therefore better anticipate any future event. As such, you are in capacity to better evaluate the accuracy of your operation and investment decisions. Do you feel concerned with your obligations as for the control of air quality in underground parking lot spaces? Direct and continued pollutant detection ensures the sharp control of air quality dedicated to minimum and mastered energy consumption. Hesion solutions are modular solutions and enable you to adapt to the environment and to your parking lot configuration. Standards adapt on and become more and more compelling; Hesion integrated this evolution from the development phase of the solutions thanks to the expertise of digital technologies and connected objects. 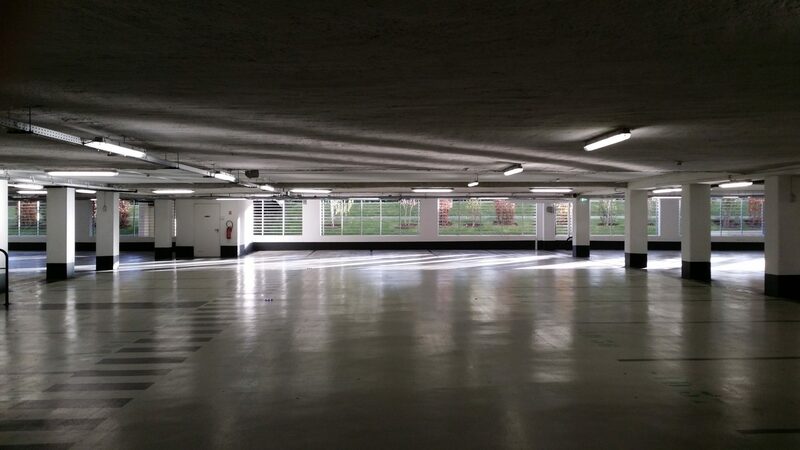 Do you know that in underground parking lots, airflow is the 2nd charging station? Hesion smoke extraction and airflow solutions enable you to fully respect the rules via optimised running. 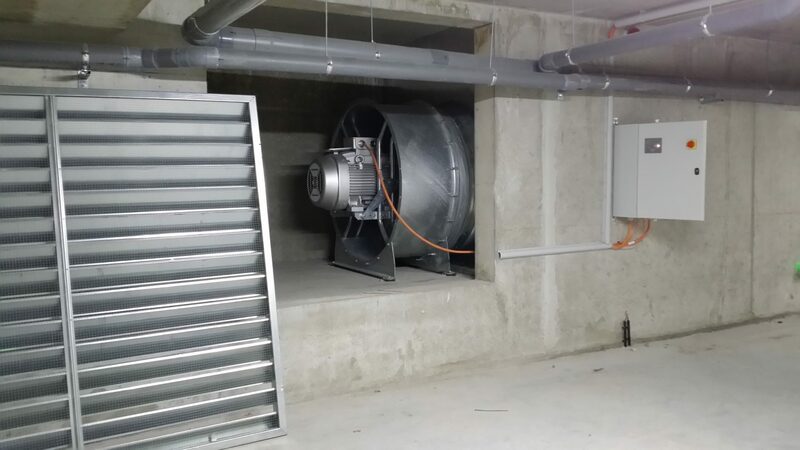 Each fan is monitored, and its electricity consumption is measured in real-time. The interface with all types of devices, namely frequency converters, gives the possibility to adjust to the consumption. 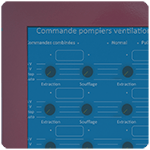 Ventilation control sequencing enables to maximise lifetime for the whole installation. Hesion solutions for detecting pollutants are totally complementarity to airflow solutions. 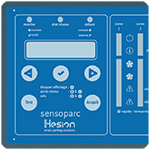 Sensoparc ® is a multi-gas et multi-zone central with 4 detection limits and command thresholds as well as a huge number of configuration possibilities The system interrogates each sensor in real time. 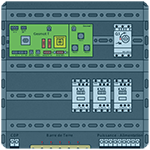 Sensoparc ® provides command orders in automatic mode for each zone. This is an essential element of the system that enables firemen to urgently command the heat and smoke vent for any zone using all the available electrical power. In this type of situation, the engine thermal protections are not taken into account anymore. Sending and receiving orders is monitored by a led. As safety, the firemen command is self-powered by the bus. It is a box that enables monitoring and controlling a parking lot ventilator. It is associated to Eolparc ®, prioritising the commands depending on their origin and executing them. It is easier to use and more efficient than a relaying box, and may be equipped with a frequency converter to get the optimal efficiency in decontamination. 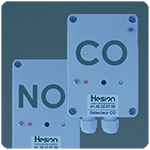 Our sensor is equipped with an electro-chemical sensor for carbon monoxide (CO) or four-threshold nitrogen dioxide (NO2) which we guarantee the calibration of. 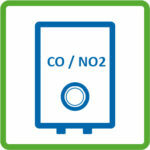 Our sensor communicates the status and the measured concentration to the power plant in real time. The parameters are locally registered and it can be easily replaced in case of maintenance operations.